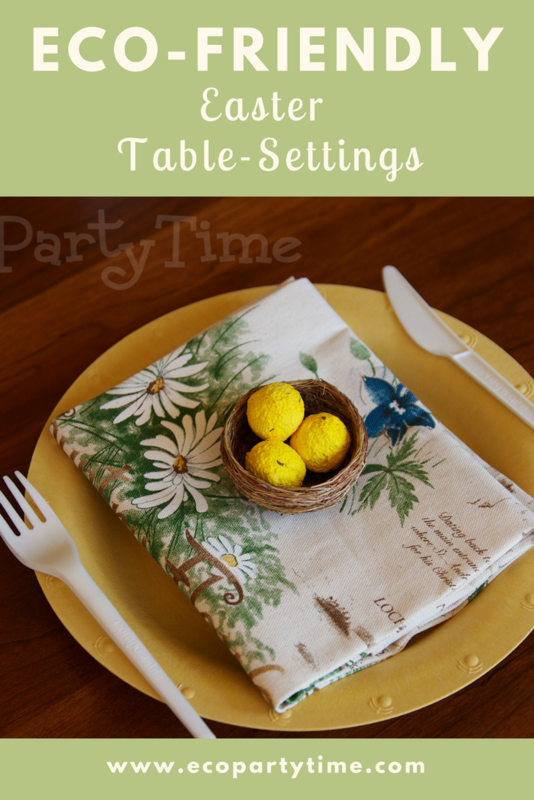 Daffodils are a common Spring Flower so I created a table-setting that will match your Daffodil center-piece! 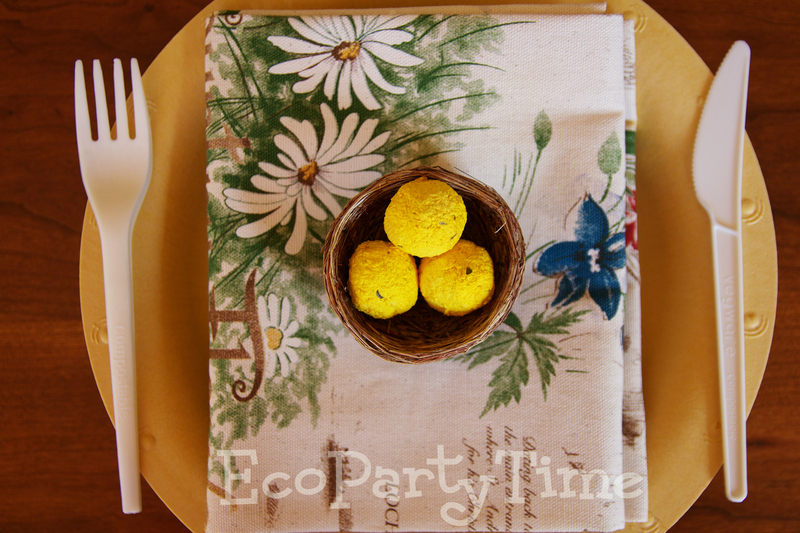 To start, you’ll need Ecopartytime’s lovely Yellow Plates. I love these plates because the yellow color is very subtle and will match lots of different decorations. I also used the Bright Yellow Seed Bombs to add a nice pop of color! Robin Egg Blue just screams Springtime! 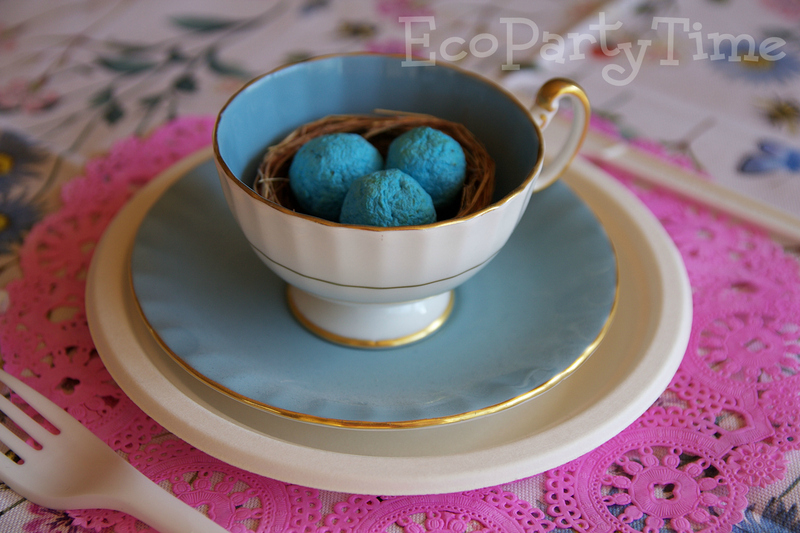 Ecopartytime has lots of products that are the perfect shade of blue for your Robin Egg Blue Table-Setting. 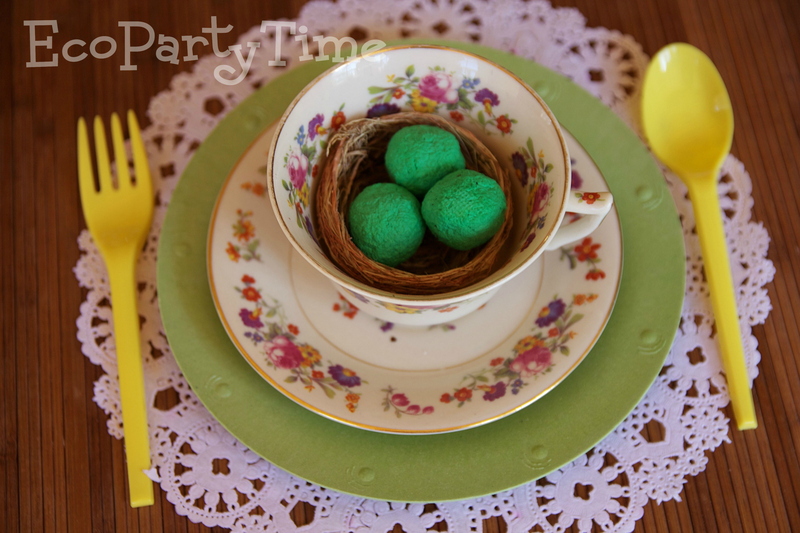 First I recommend getting Ecopartytime’s Bird’s Nest Seed Bomb Favors. I used these favors for all my Easter Table-Setting ideas. 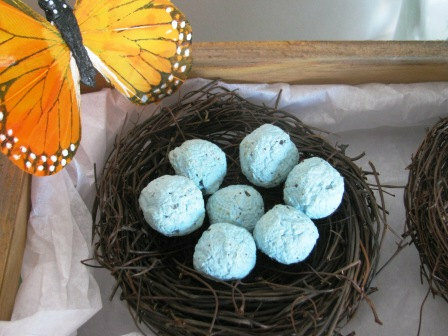 You can get any color Seed Bombs including, of course, Robin Egg Blue! 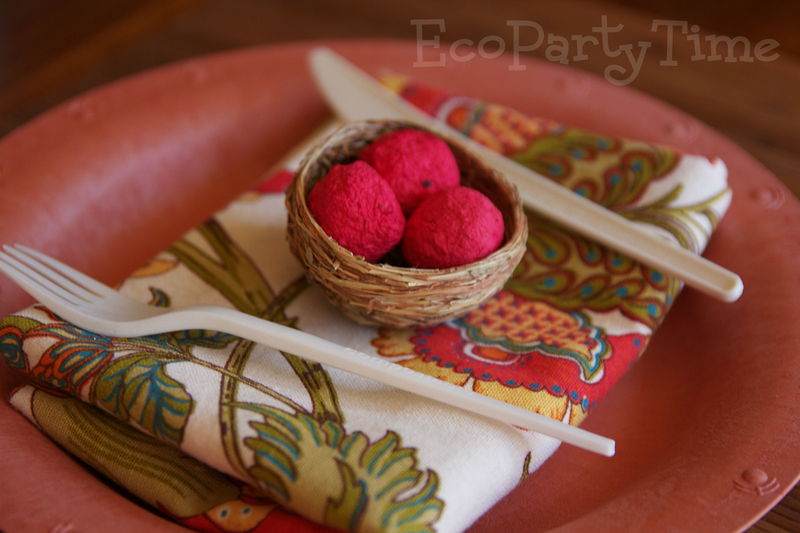 I paired this nest favor with Ecopartytime’s White Compostable Plates and Utensils. Spring means that strawberries are just coming into season! I created a lovely red table-setting that will make you dream of fresh strawberries. Like the previous setting, I used Red Seed Bombs as the pop of color! 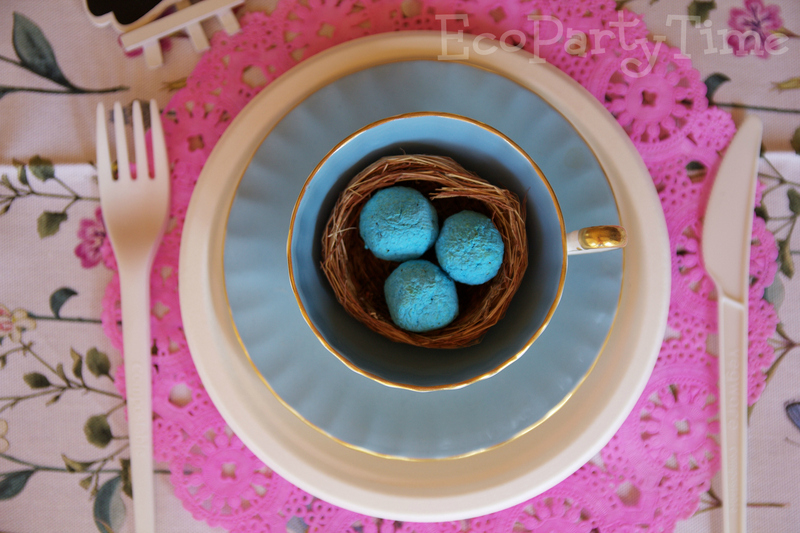 Plus these little nests make great favors for your family or guests. 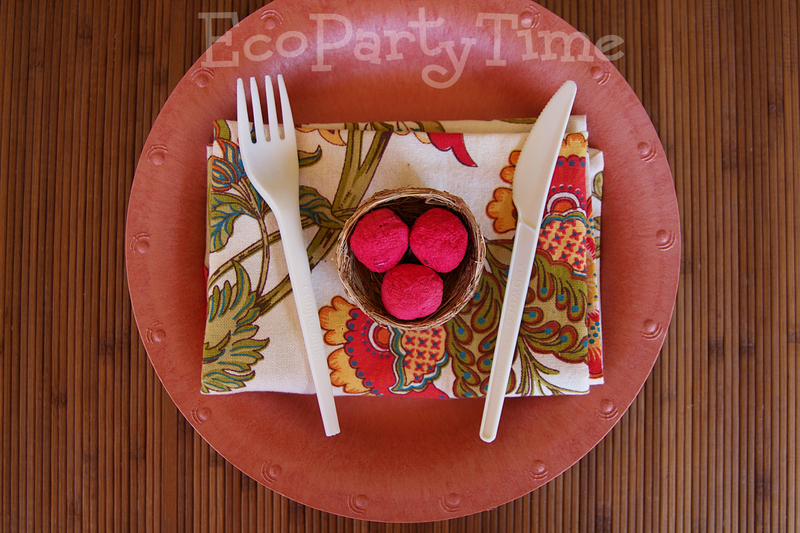 I also used Ecopartytime’s Red Solid Color Plates. When I think of Spring and Easter, I often think of grass and plants coming back to life! This table-setting is a mix of soft greens and bright yellows. 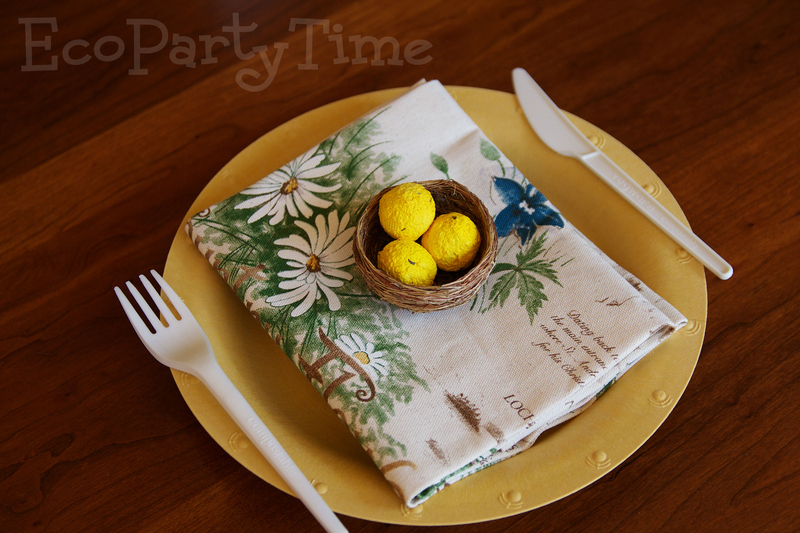 I used Ecopartytime’s Light Green Solid Color Plates and Bright Yellow Compostable Utensils. 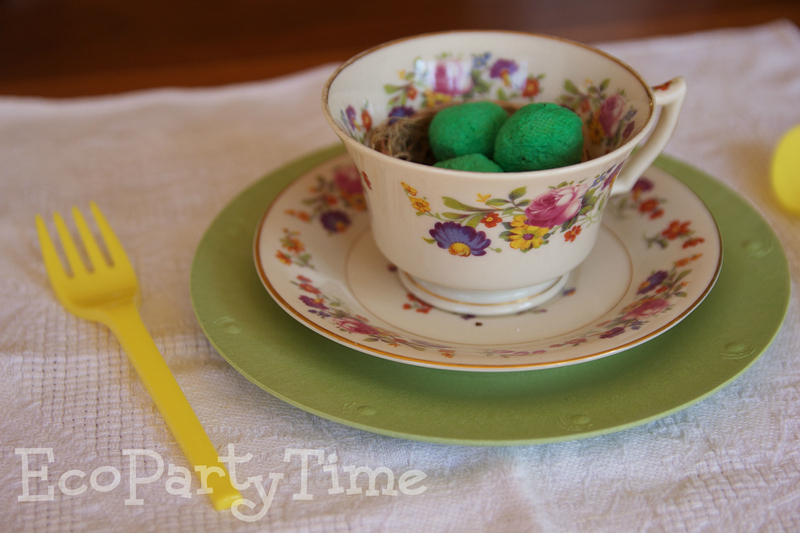 I also used Grass Green Seed Bombs for my Nest Favors. 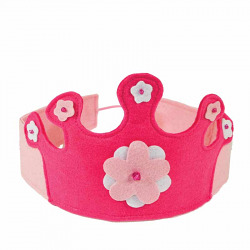 What are your favorite Ecopartytime products for Easter? We’d love to know! 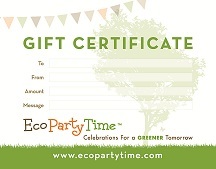 Make sure to tag us in all your eco-friendly Easter celebrations with #ecopartytime!